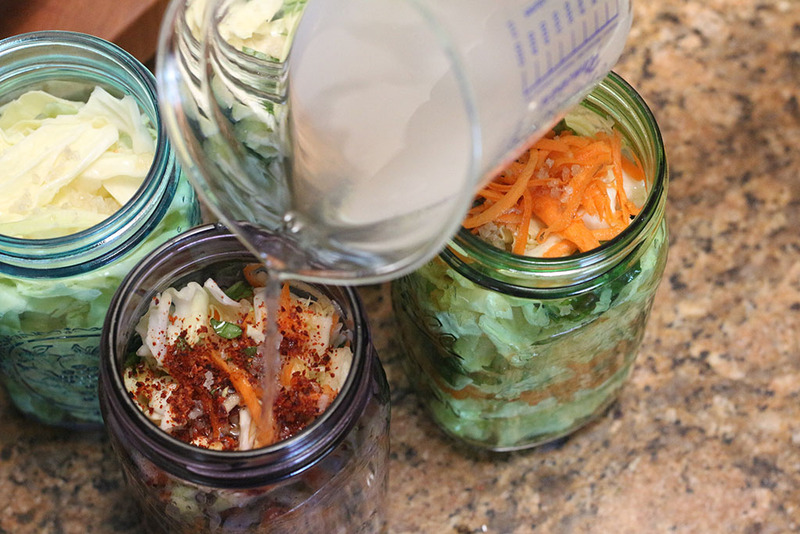 You first must choose the vessel you will want to use to ferment the vegetables. 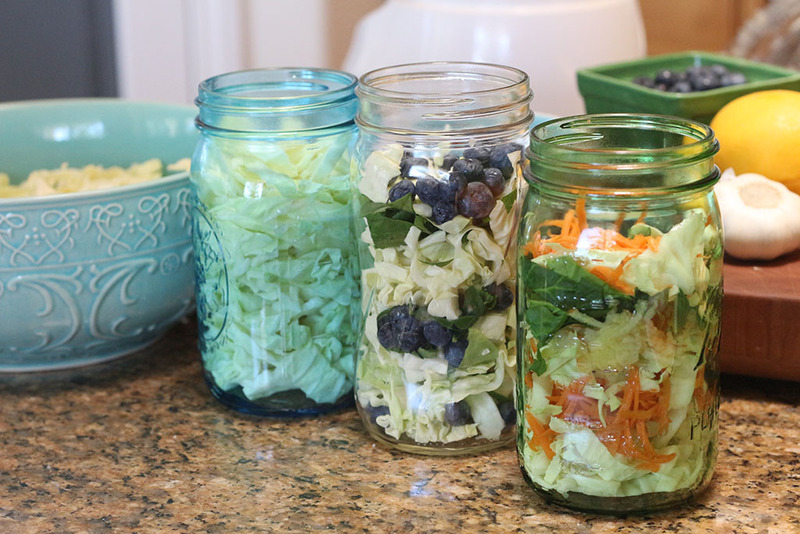 You can use a canning jar with a lid, a crock with a lid, a clamp down jar that has a gasket, or my favorite is a jar with an airlock lid. 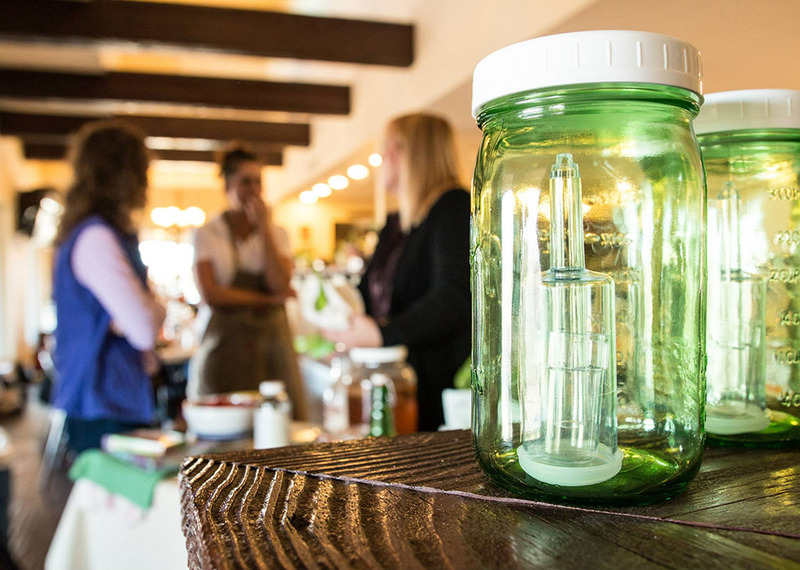 Airlock jars create a low-oxygen, or anaerobic, environment in which lactic-acid bacteria may thrive. 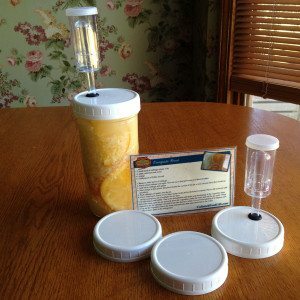 It creates the best results with less chance of mold, but airlock jars are not absolutely necessary. 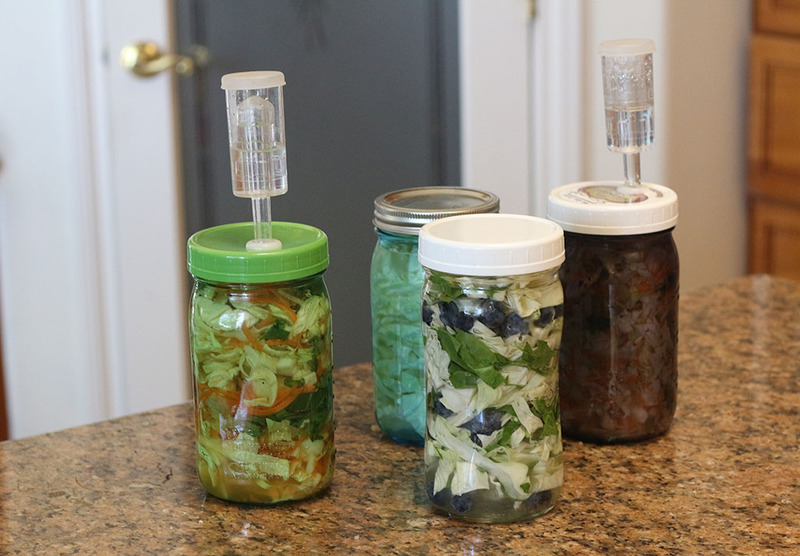 You will then choose to use a starter culture to ferment or you may choose to ferment without one. 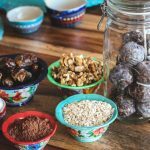 You can certainly make them without a culture, but the good bacteria will stay at a higher level longer if you add a culture. 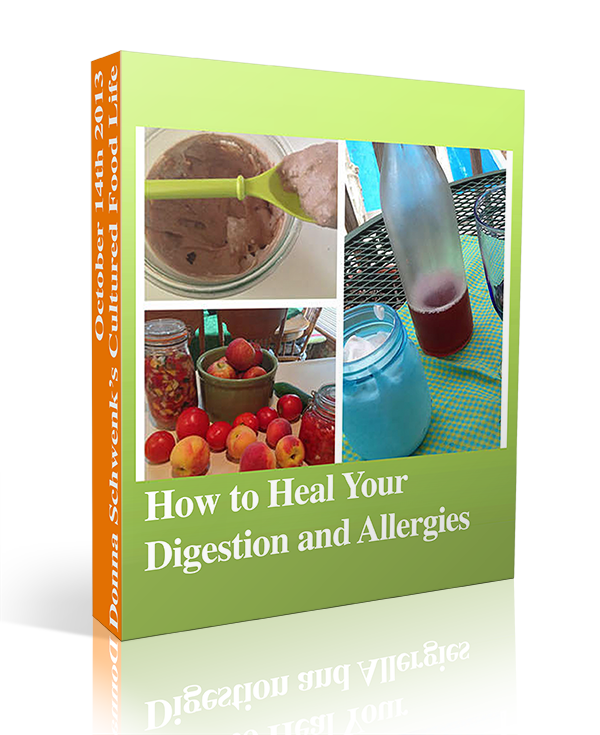 This will also increase your own body’s ability to use and grow these good bacteria inside of you. The one that I believe does this the best is Cutting Edge Cultures. Cutting Edge Cultures is my favorite starter culture. 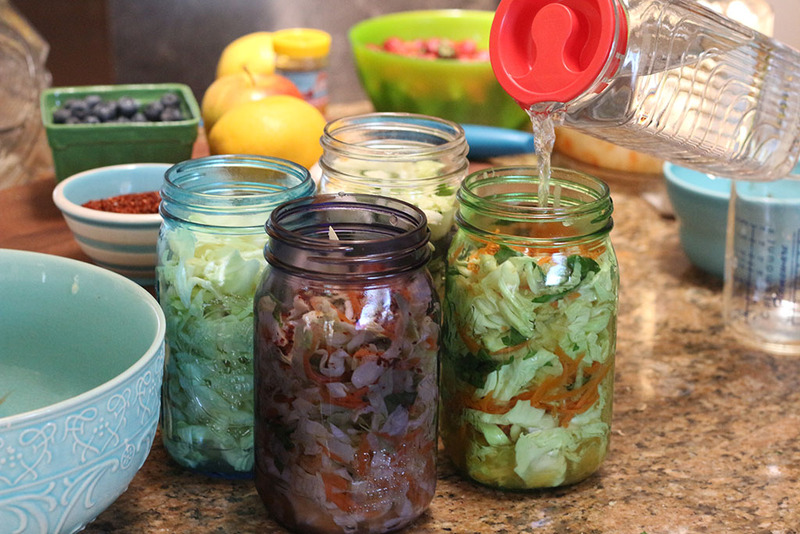 It ferments my veggies perfectly every time and gives me tons of probiotics. I’ve tried making veggies in many ways using kefir whey, salt, and other cultures, but I found this product works the best. 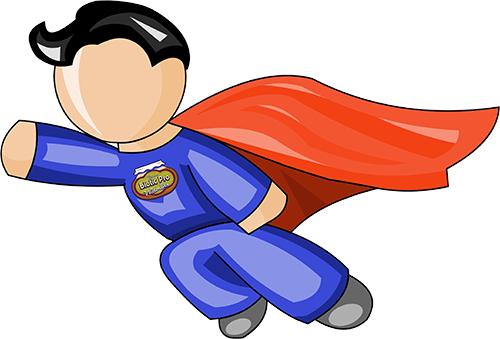 I actually helped design this product to give you more L. plantarum (super bacteria) than anything else on the market. That being said, you don’t have to buy my product to make cultured veggies. 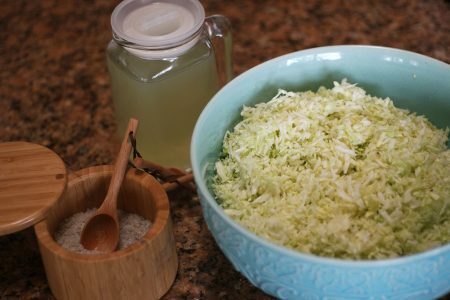 You can make cultured veggies with kefir whey, salt, or another brand of starter culture, but I’ve simply found that Cutting Edge Cultures works the best. 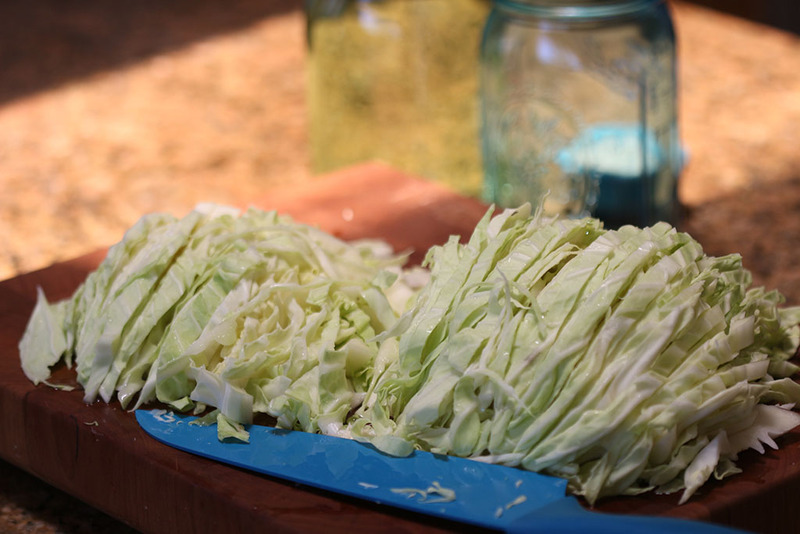 I just want you to make really good cultured veggies so you can reap the many health benefits that they offer. The method of using just salt to make cultured veggies has been around forever. 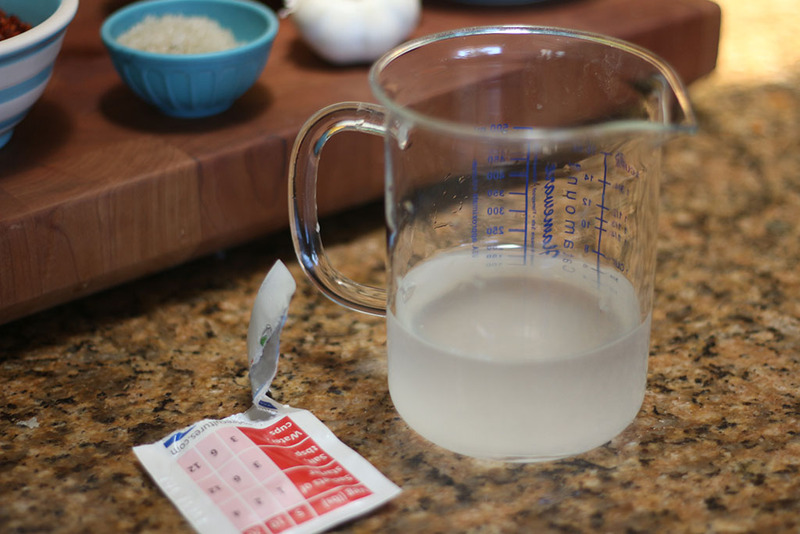 Most methods using salt will ferment them for 3-6 weeks. 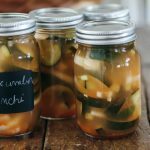 I don’t recommend fermenting them for this long since it diminishes the probiotics as the bacteria run out of food and the acidifying bacteria turns to a more vinegar type of brine over time. 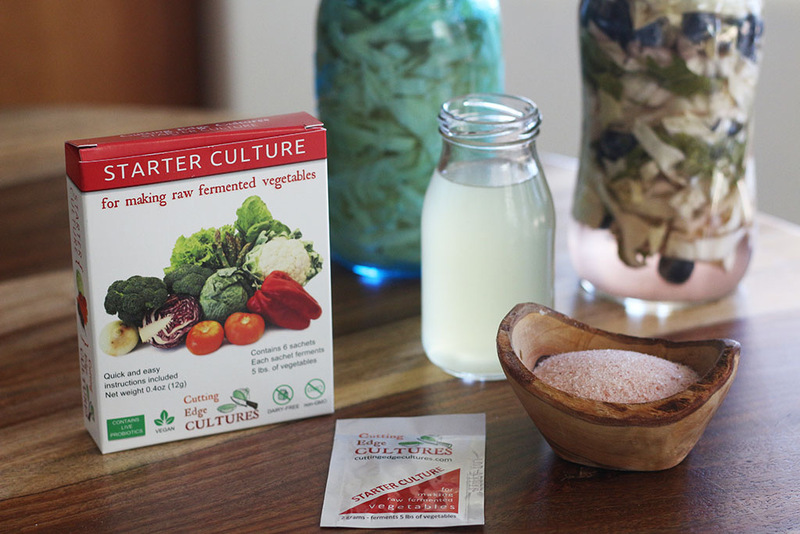 It’s important to use extra salt (3 tablespoons per gallon of veggies) if you’re not using a culture. You need to drop the pH and without enough salt you won’t achieve the safe and proper balance to allow them to ferment properly. 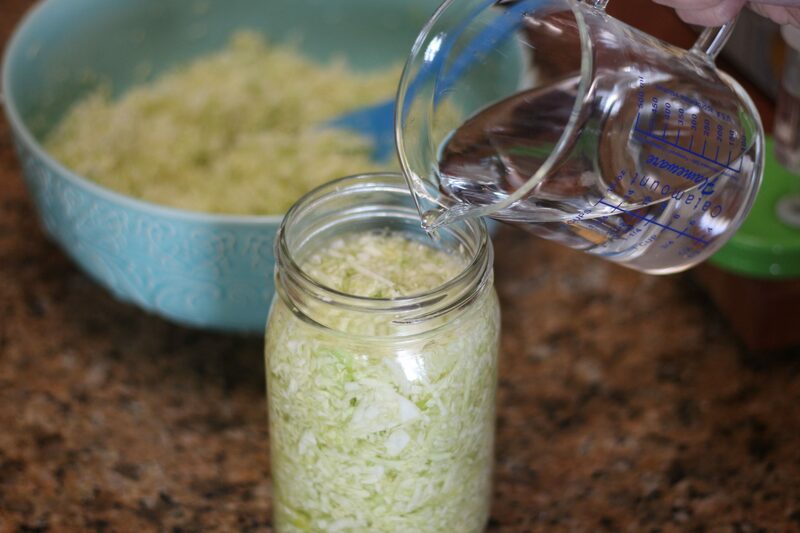 I also don’t recommend fermenting other veggies with just salt. Cabbage works very well, but other veggies don’t ferment properly and don’t have the proper pH so I recommend only doing cabbage recipes. 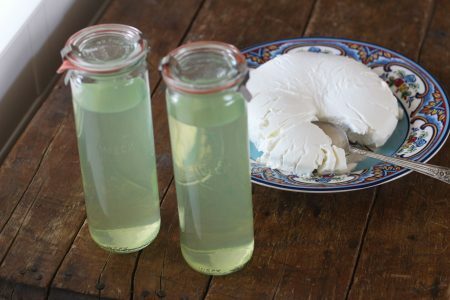 If you make a lot of kefir cheese and have extra whey then you can use it to make cultured veggies. You need to make sure the kefir whey is freshly strained (within a day of straining) before using it. 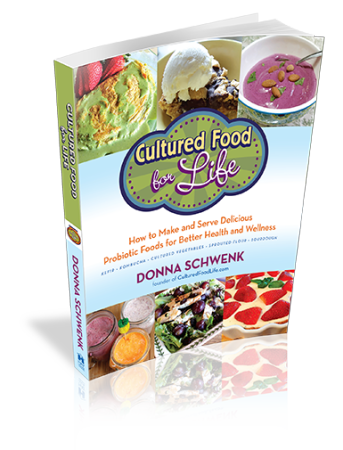 Otherwise, the culture won’t have the proper bacteria strains to culture your veggies properly. 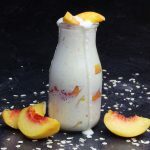 One of the reasons I don’t use kefir whey is because there are a lot of different bacteria in kefir that aren’t specific to cultured veggies. 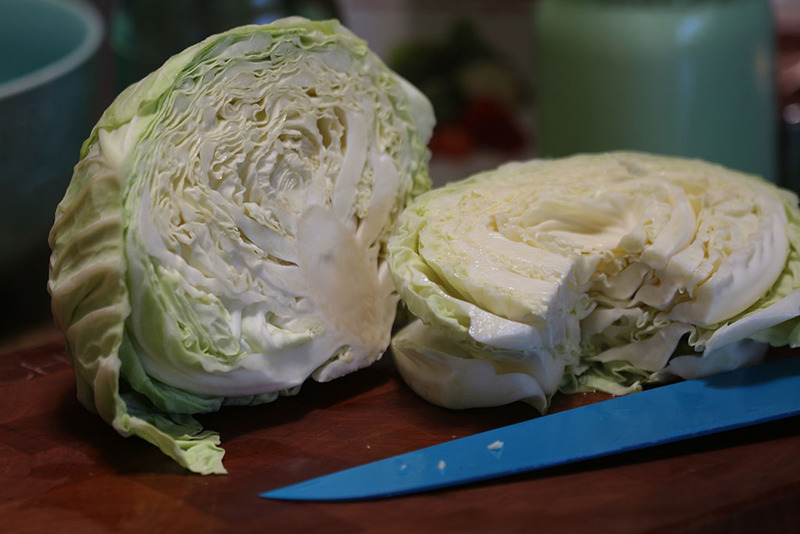 Lactobacillus plantarum (L. plantarum) is the one that you’re looking to get the most of in cultured veggies. 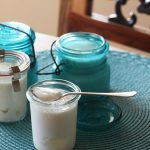 The diverse bacteria and yeasts in kefir whey compete for dominance as to which one will rule. This makes L. plantarum diminish. 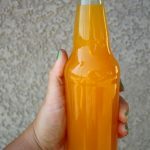 Sometimes this can change the taste of the veggies over time but not always. It just depends on what’s going on with the bacteria in your batch. Each batch has a mind of its own! 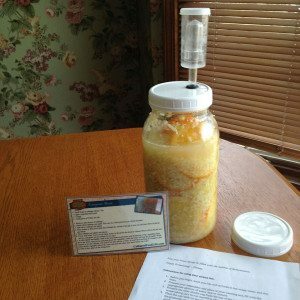 Kefir whey still makes good cultured veggies, I’ve just gotten more picky over time and want to get the most L. plantarum I can. 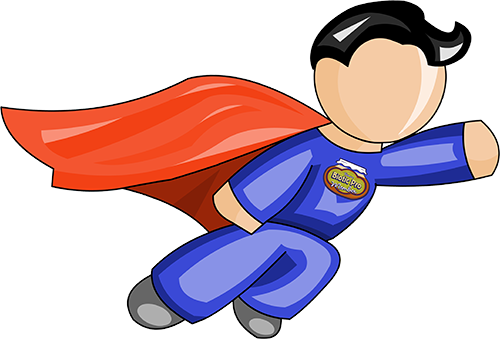 It’s got superpowers! Buy the freshest veggies you can find. This makes summertime ideal, although I’ve cultured a lot of vegetables in the winter too. 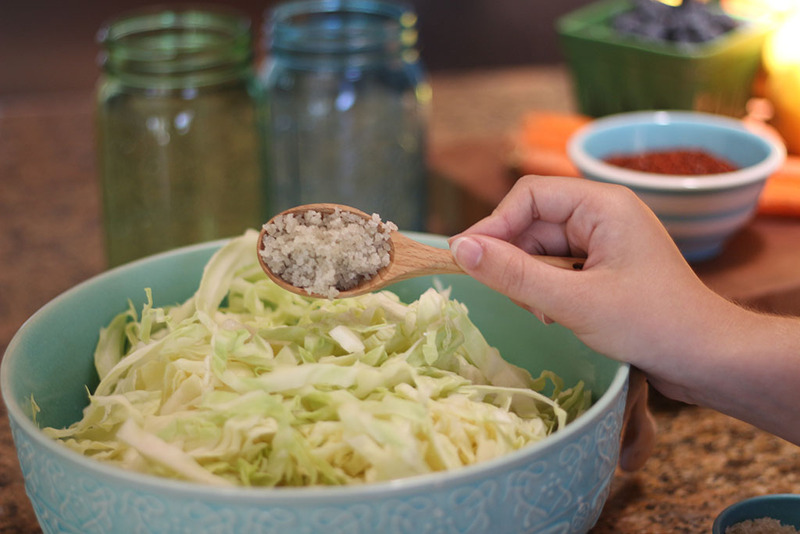 You’ll get less kahm yeast which is a harmless white yeast that can occur if your veggies aren’t fresh. You’ll want to remove it if you see it because it can make your veggies taste bad. 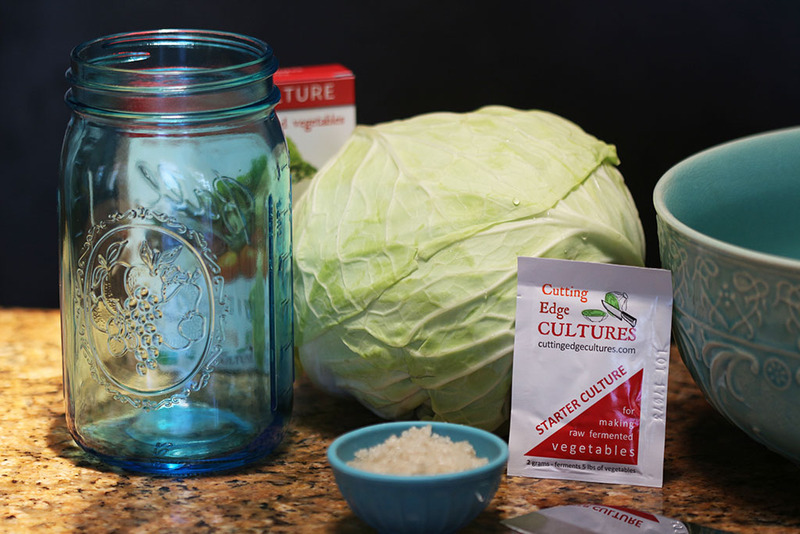 You can culture almost any vegetable. As a general rule of thumb, cabbage takes six days, while most other veggies like carrots, tomatoes, asparagus, etc., can take two to three days. 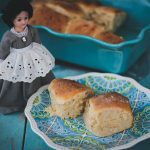 Check out my recipes to see more detailed instructions. Let’s get started! 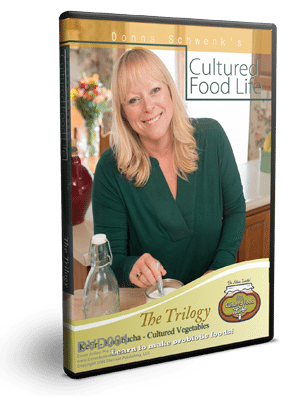 We have over 75 cultured veggie recipes to choose from. Be creative! Mix and Match!! 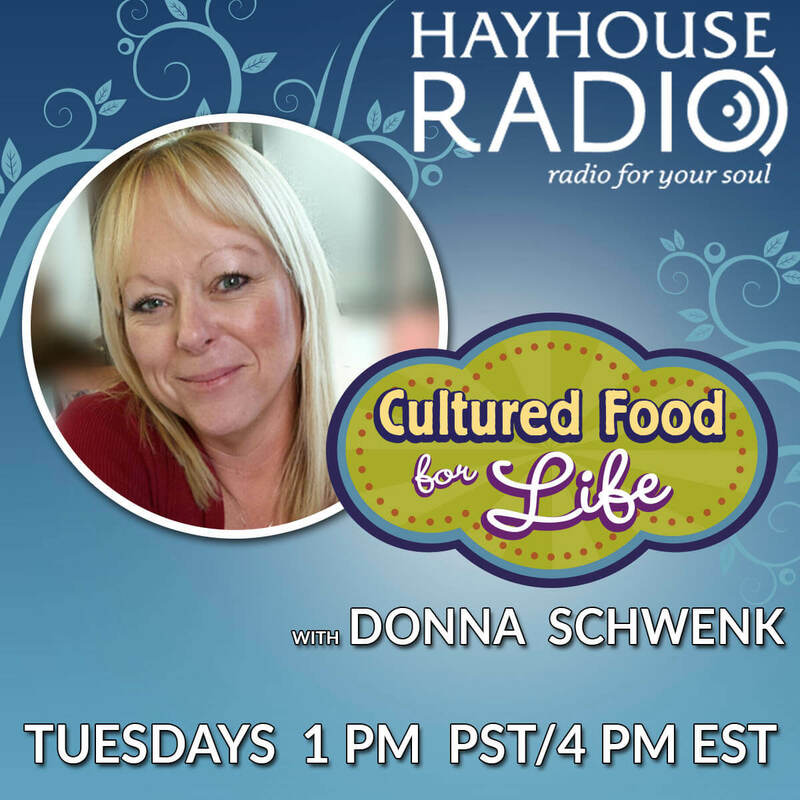 Turn your kitchen into a culturing haven!!! 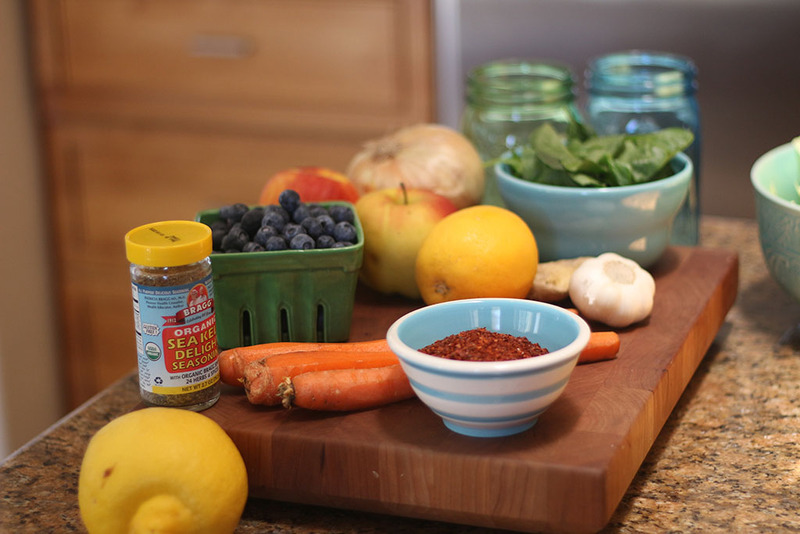 We have a basic recipe listed below, or you can watch this video. 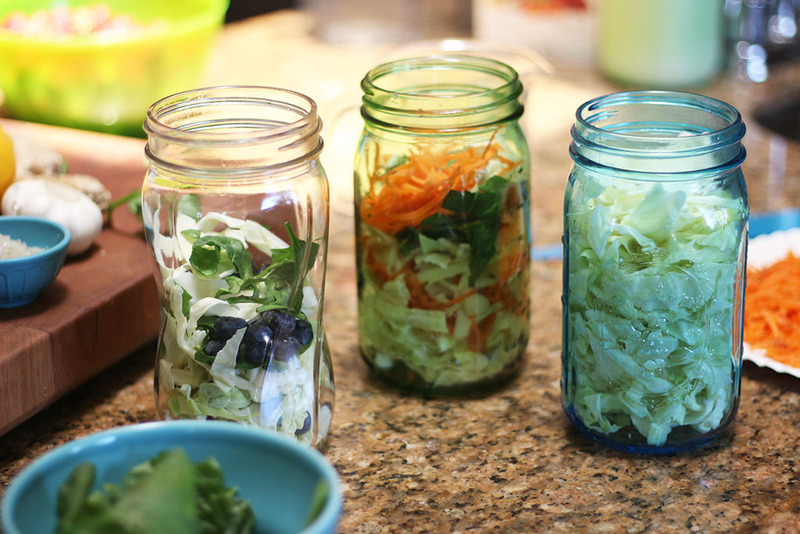 5 Responses to "How to Make Cultured Vegetables"
When something ferments it can build pressure in the container! This is likely what happened – did you have the jar closed tight or slightly loose to allow air flow? 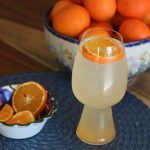 Do you have an airlock lid? 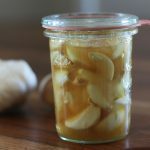 To see if you can use it, I would smell it and go from there, you can probably tell from the smell and taste if it is good or bad, though it may need to ferment a bit more to be sure. Then again, it might be fermented enough, there are many variables, time, temp, veggie ripeness and whey strength, etc. Hi I made cultured jar of cabbage, carrots and grapes. I added water and the kefir whey and that night the lid of the jar popped open!! Is this still ok to use? I covered it in the morning and not sure what to do now? Please let me know? Thank you. 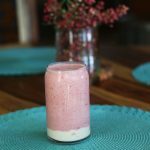 I have enoyed the kefir and find it extremely helpful for me. Yep! Just cover it back up and make sure you have enough water covering the veggies and it should be fine.